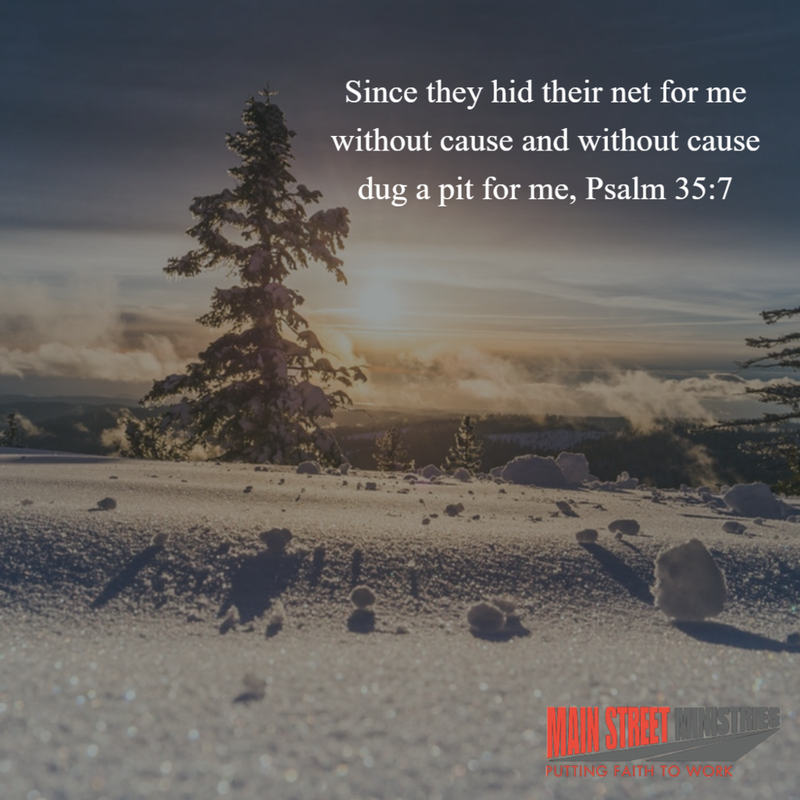 Interesting fact that the enemy dug a pit for David to fall into even though he was innocent. The enemy is not concerned with our innocence for he desires to make us look guilty. His desire is to ruin our reputation especially if we are guiltless. The enemy pursued David behind his back and most likely they were friendly to his face which made it look more deceptive. We all have relationships which cause strife and conflict and we may even have those in our lives which are nice to our face and callous behind our back. Hopefully, we are not one of those people who plot evil for others for every time we speak maliciously against others, we are doing the same as David’s enemies. We may not even realize that we are harming others by what we say about them behind their back but the truth which we all know is, words can hurt. We are called to be the peacemakers in all situations even when we know others are causing strife. We are the ones who shut the door of strife by keeping all our ways innocent. We don’t use our words or actions to participate in digging the pit for others to fall in. Like David, let's bring those to the Lord whose ways are trying to bring trouble to us. Instead of allowing their ways to infect our ways, allow God to bring them to a place of conviction and let our ways bring light to them.